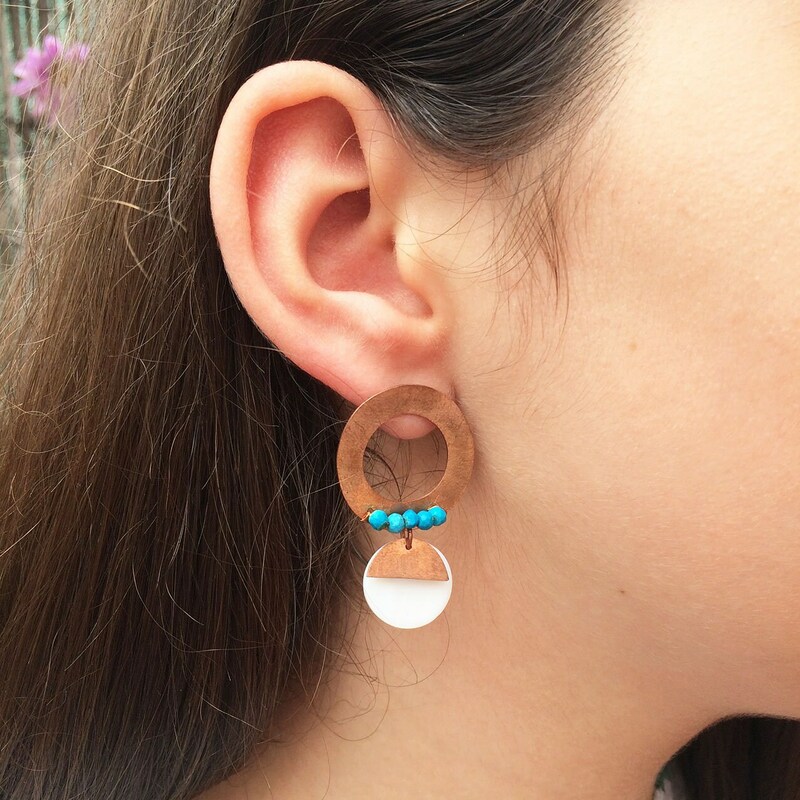 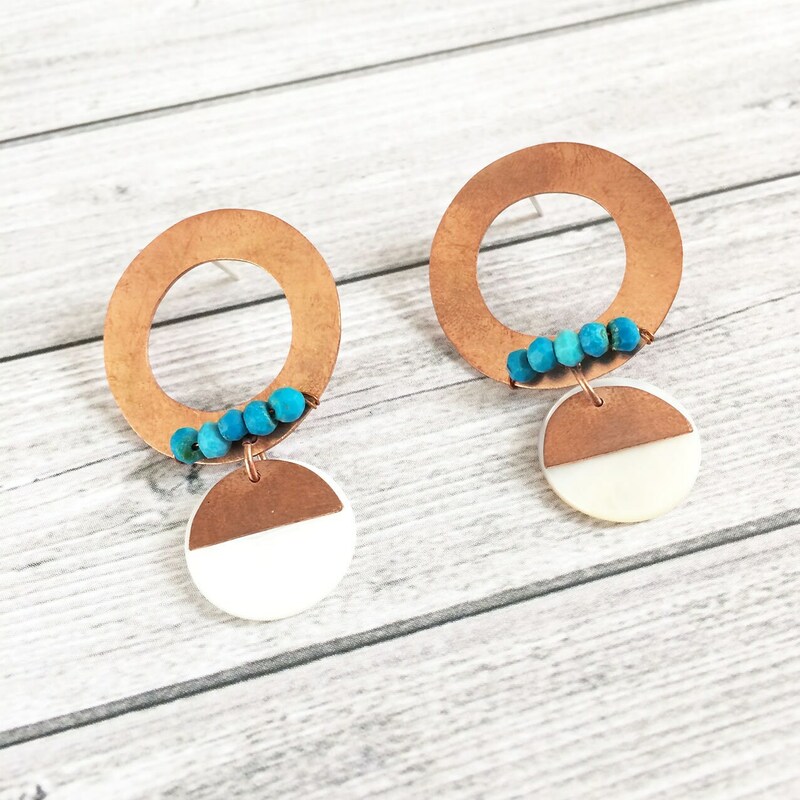 They are very comfortable earrings to wear. 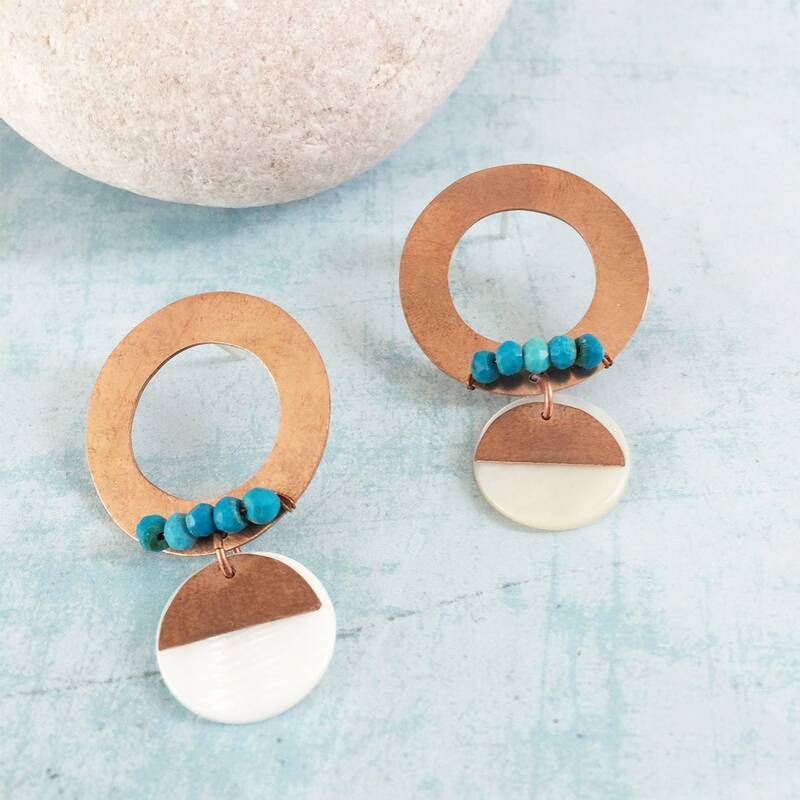 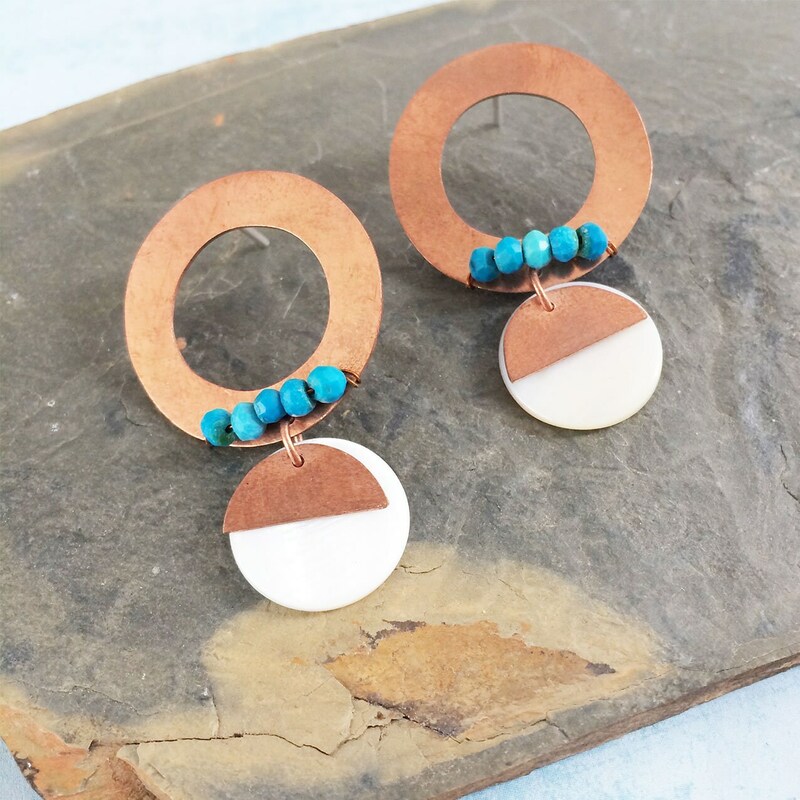 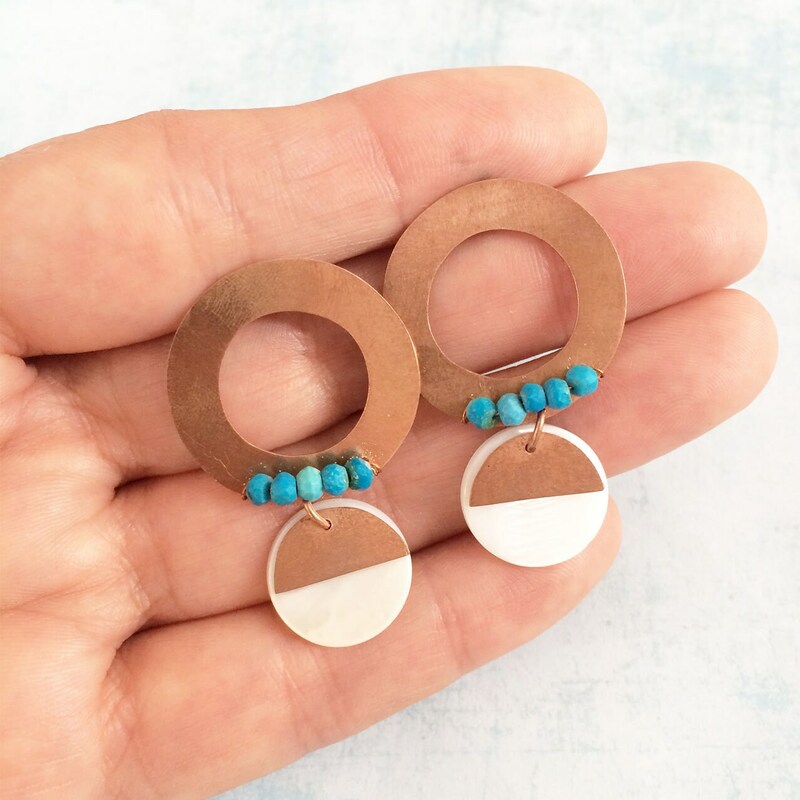 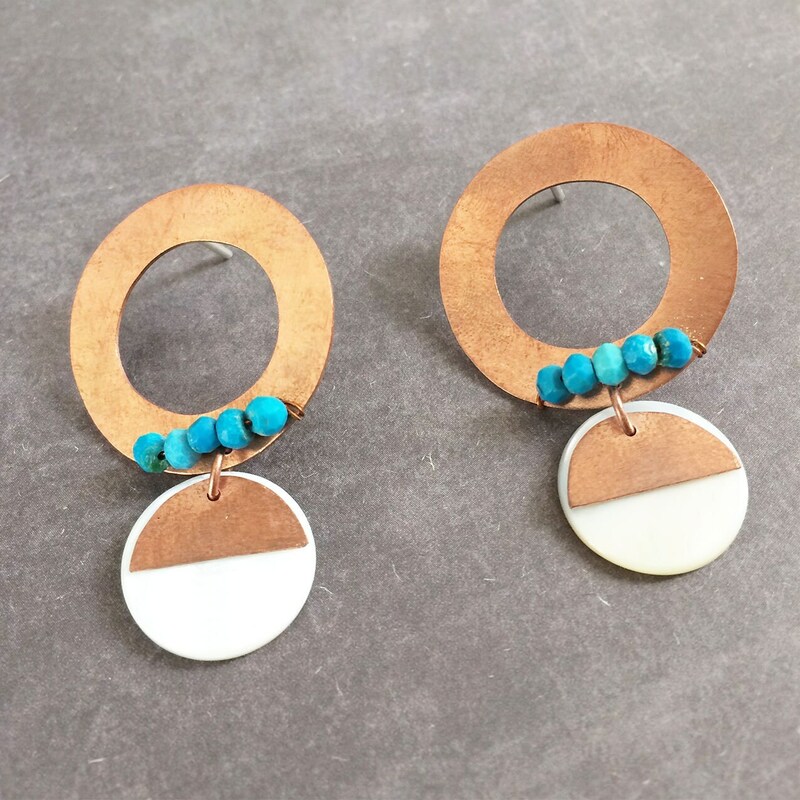 Circular copper earrings with natural stones. 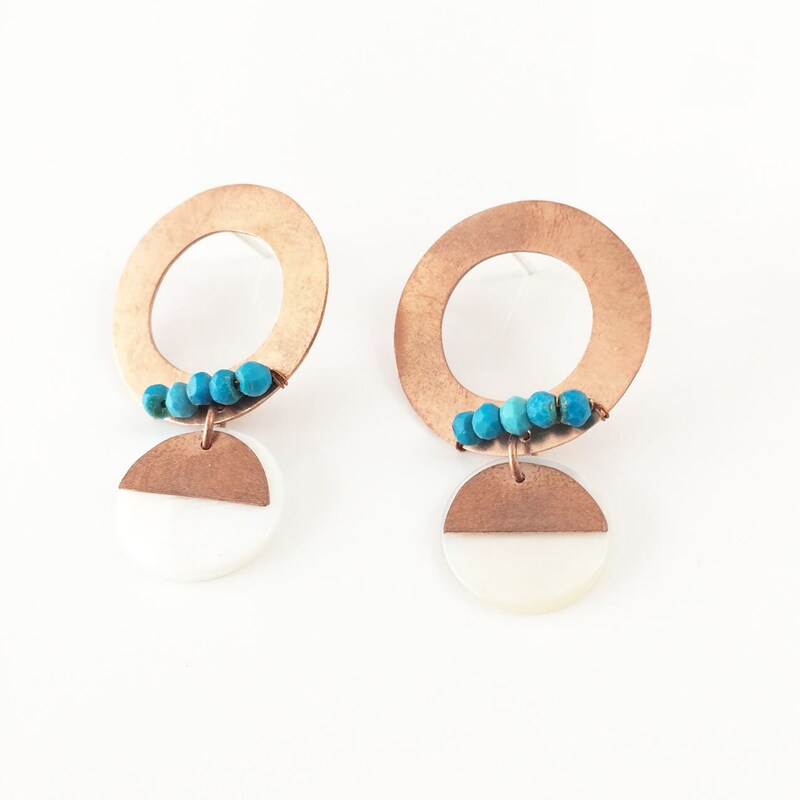 Materials: Copper, mother of pearl, turquoise and silver. 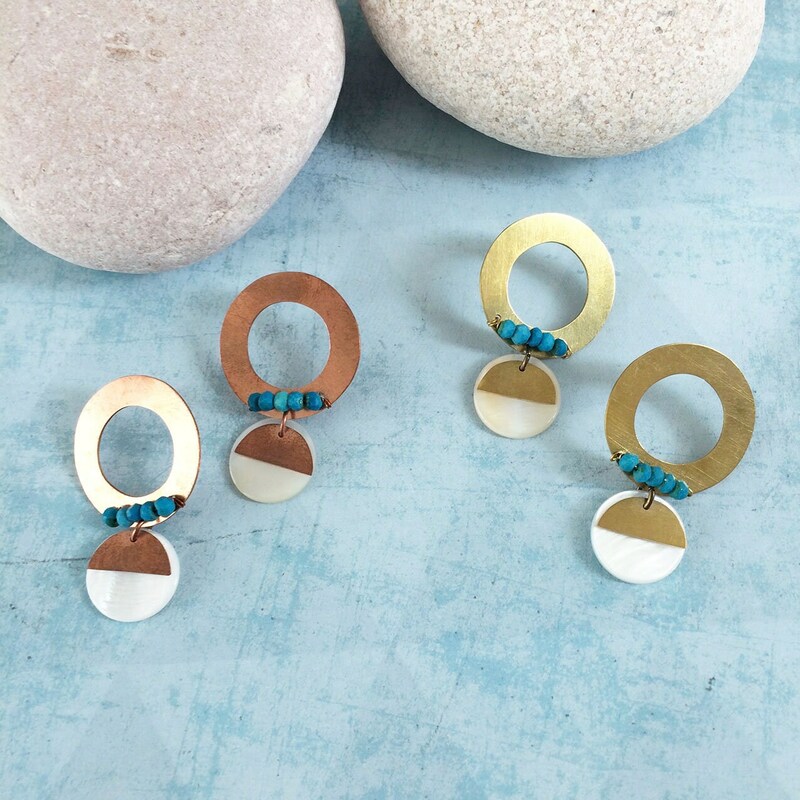 Colors: Copper, turquoise and white.